Take a look at the picture above. Looks out of place right? Well actually, it's a really cool tip that can save you a lot of time and space. 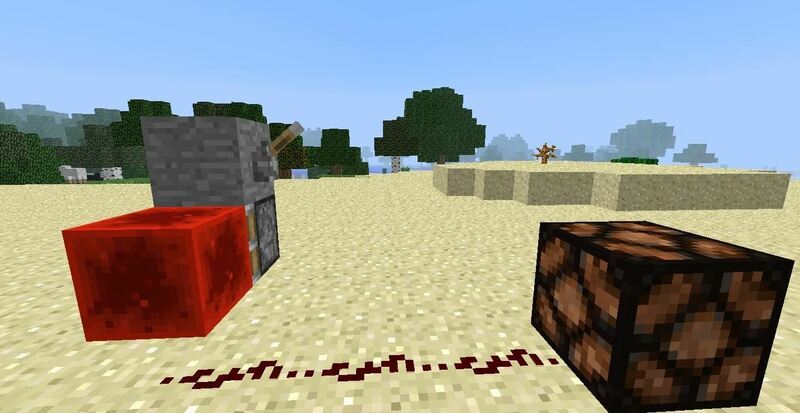 When you feed a redstone signal directly into a solid block, and there is a repeater either on the side going into or coming out of the solid block, the signal will pass through the block! However, this will not work when using a block such as glass, stairs, a halfslab, or any other block that's not solid, or can be seen through. An example is in the picture below. As you can see, the signal is not traveling through the stairs, because they're not considered a solid block. Air is also considered a non-solid block, which makes for a very easy switch. If you hook up a piston to the solid block that the power is flowing through, the piston can go back and forth to turn on and off the power source. An inverter is what it sounds like; it reverses a signal. 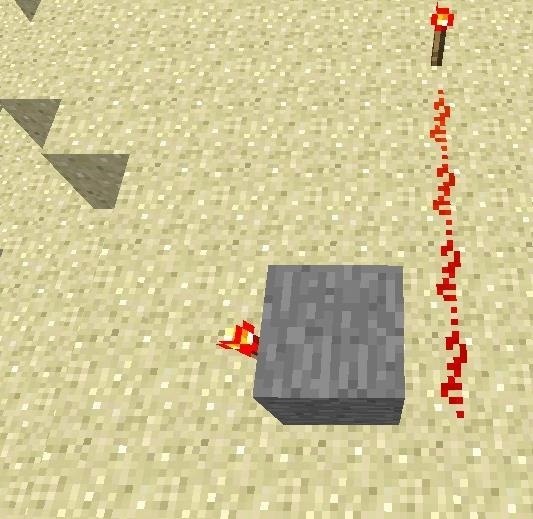 If you send a solid signal into a block, and the block has a redstone torch on the opposite side, the signal redstone torch will be off. See the picture below. However, there is a common problem many people have is misalignment. Below is an example of the wrong way to make an inverter. Many people do this when they're cramped for space. 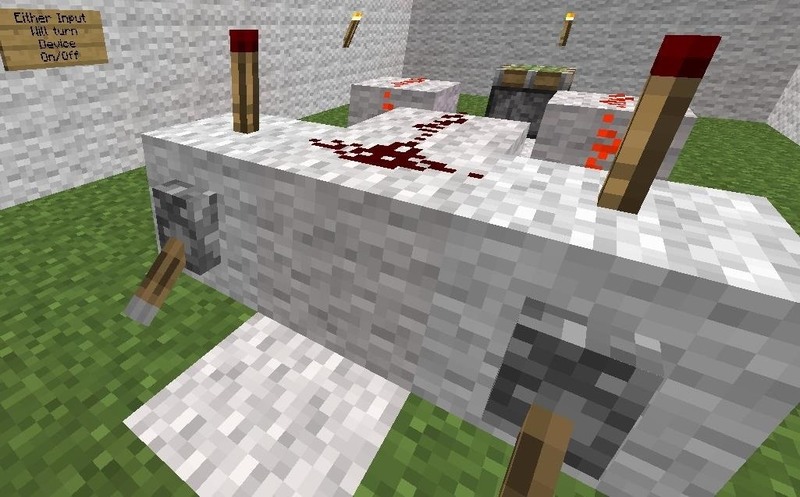 Thankfully, this can be fixed easily by placing a piece of redstone on top of the block. Even though the signal isn't going into the side of the block, it's resting on the top. Therefore, it has the same effect as a normal circuit. 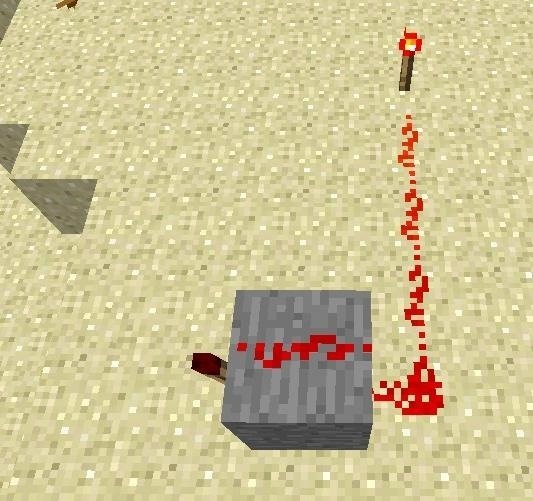 A redstone block cannot be turned off, but a redstone torch can. A redstone block doesn't give off light, but a redstone torch does. 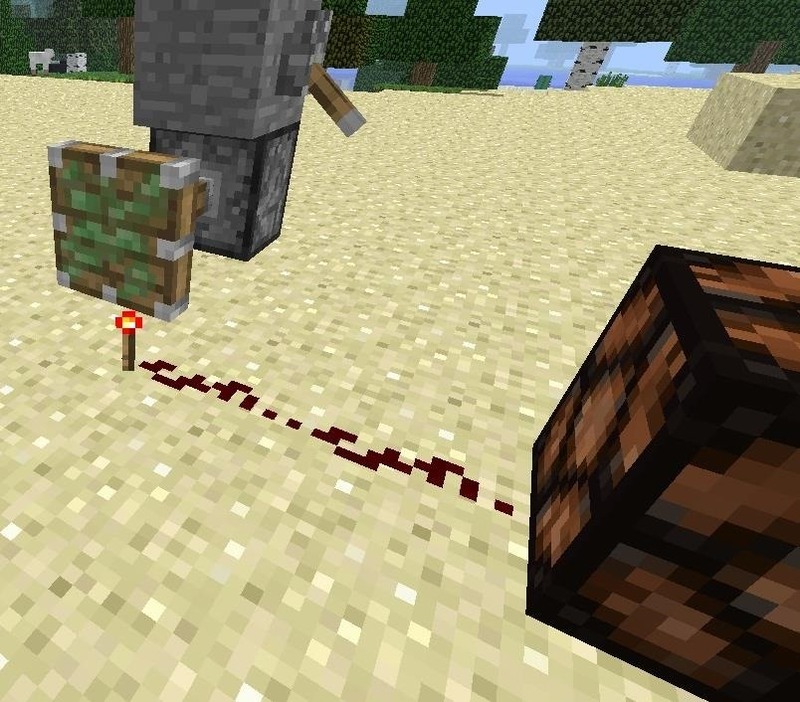 A redstone block can be pushed by a piston, but a redstone torch can't. If you try to do this with a redstone torch, this happens (see below), and the redstone torch breaks. Using a redstone block instead of a redstone torch is the perfect way to toggle a device on and off, because you don't have to destroy a redstone torch to do it. You only have to pull a lever. The mechanincs are very simple. Both levers change the state of the piston. 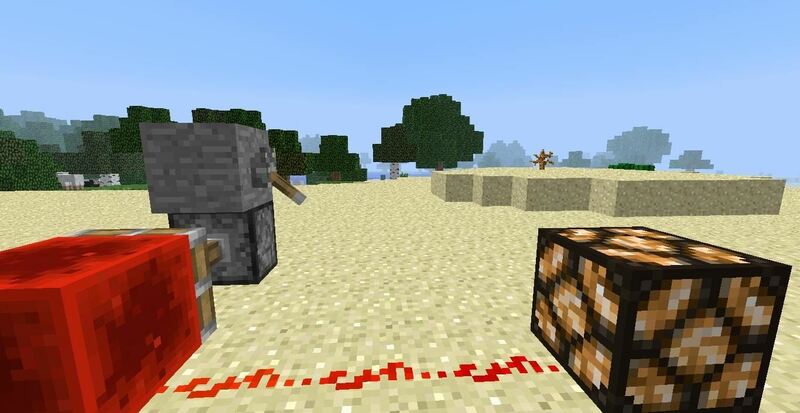 However, this device can be hooked up to anything that takes power (A note for the more advanced minecraft redstoners: this device is technically a T-Flip-Flop with multiple inputs). This redstone cirucit is not used nearly as much as it should be, because it's the ultimate alternative to 2 buttons and a t-flip-flop. It's silent, faster, and easier to make. You read the title. It's the mistake all TNT redstoners make. Thanks for reading! Send me an email at jgpjedi@gmail.com for questions, comments or concerns! Please type "WONDER-HOW-TO" in the subject line so I can get back to you as soon as possible. Happy to help! Thanks! I didn't know you could use a repeater to get red stone to go through a solid block. Good tips. Most people don't. Thanks for still following me dude. Thanks for the tips does anyone know where to get WorldEdit? good stuff! I just started minecraft and your tips are well appreciated. Really? Those are some of the basic elements of redstone! How shouldn't you know them? I knew all of this but thanks for the tips! honestly the reapeater through stone trick is actually just a waste of materials. You can easily have redstone power a block and the signal will still continue through. Thats what idid when i created a custom combo lock.